The International Pastors Conference opening ceremony of the 2016 Loveworld Exhibition, with the theme: Connect, Share and Spread took place at the Loveworld Exhibition ground on Tuesday November 15. 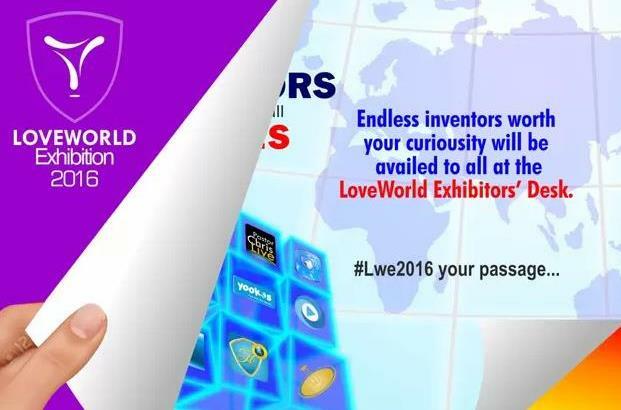 The chairman of the 2016 Exhibition and the Zonal Pastor of Christ Embassy Warri zone, Pastor Siji Dara gave the opening address, stating that the exhibition will be an opportunity to expand and spread the work of the ministry further and farther through the different arms and affiliates of the Believers Loveworld Nation. This was after the opening prayer by the Secretary General of the ministry, Pastor Kayode Adesina. The Chief Executive Officer, CEO of the Believers Loveworld Nation, Pastor Yemisi Kudehinbu also gave her address, thanking God for the grace He gave to us as a ministry to accomplish much more on every side. She also thanked the Pastors for their increasing commitment to the spread of the gospel through the different ministry platforms in the year 2016. Pastor Deola Philips, the Zonal Pastor of Christ Embassy Lagos zone 5, the winner of the top partnering Zonal church in the year 2015, demonstrated more willingness to do much more in the new ministry year during her address. The opening ceremony team comprising of members of the Believers Loveworld Central Executive Council, Zonal Pastors and Ministry Directors were led on a guided tour of the exhibition stands by the esteemed chairman of the exhibition, Pastor Siji Dara. It was indeed an insightful tour of the stands as the Pastors expressed excitement and willingness to achieve much more in collaboration with the different arms of the ministry.